Pilgrim’s Pride is recalling 58,000 pounds of popcorn-style chicken sold at Publix Super Markets after consumer complaints of rubber in the product. 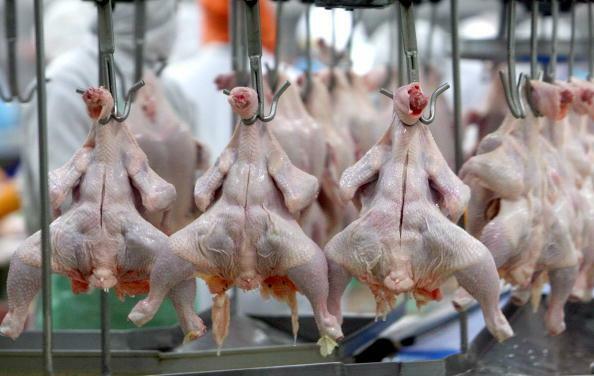 The Texas company is the third major poultry producer in recent weeks to recall a total of nearly 163,000 pounds of chicken possibly tainted with extraneous material, or in these cases, rubber and wood. The problem was discovered on Jan. 30, when Pilgrim’s Pride was told by Publix employees about a consumer complaint regarding white rubber in the products, according to the U.S. Department of Agriculture’s Food Safety and Inspection Service (FSIS). The popcorn chicken was offered in hot and refrigerated cases in the deli department in all Publix stores in Florida, sold between Jan. 17 and Jan. 31, the grocery chain said in a statement. It was also sold in some Publix stores in southern Georgia, southern and coastal South Carolina and southern Alabama. 20-lb. boxes containing 8 clear bags of “UNCOOKED POPCORN STYLE CHICKEN BREAST CHUNK FRITTERS WITH RIB MEAT” with a “USE BY 10 01 2019” date and lot codes of 9004101012, 9004101013, 9004101014, 9004101015, 9004101016, 9004101017, 9004101018, 9004101019, 9004101020, 9004101021, 9004101022, 9004101000 and 9004101001. The products subject to recall bear establishment number “P-7091A” inside the USDA mark of inspection.